We spent night three being lulled to sleep by the flow of the Snake River. We slept on these incredibly comfortable, self-inflating paco pads. The dark was much warmer down in Hells Canyon than up in the Seven Devils. Morning came and we were greeted by the smell of pancakes and sausage. We didn’t know it, but vacation and relaxation were about to really begin. 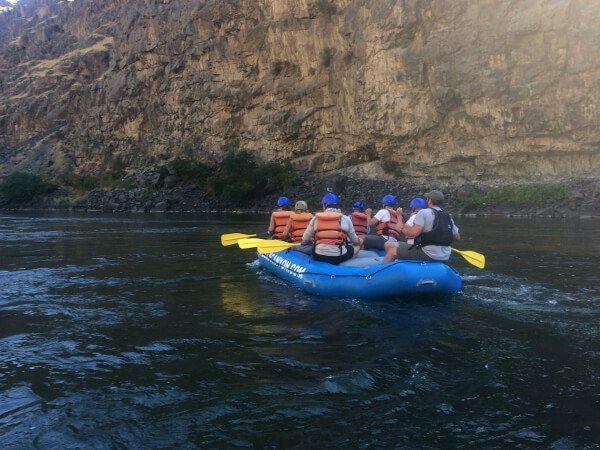 Day four and our first day on the Snake River was going to be our toughest yet, filled with Class IV and III rapids. Not going to lie, I was a little nervous; this was going to be my first time rafting!